For a country of only four million people, Croatia hides an awful lot of secrets. Partly it’s the geography, a long coast and over 1,000 islands and partly it’s the history, of invasion and uprising. Thrown in an array of strange customs and you have a very interesting mix indeed. Calling itself the ‘World Centre of the White Truffle’, the Zigante restaurant has been doing a roaring trade since its owner discovered the world’s largest one in the nearby Motovun Forest, Istria, in 1999. Weighing a humungous 1.31kg – first-class whites go for €2,500 per kg – it threw the spotlight on the strange but lucrative world of truffle hunting. Every nation has its bizarre inventions; Hungary its Rubik’s Cube and Slovakia the parachute. Croatia invented the cravat, forerunner of today’s necktie. The names of the sartorial item and nationality are interlinked thanks to a French bastardisation from the 1600s, when they first appeared. Today Croatia celebrates Cravat Day every October 18 and nationwide chain Croata proffers cravats of every colour. 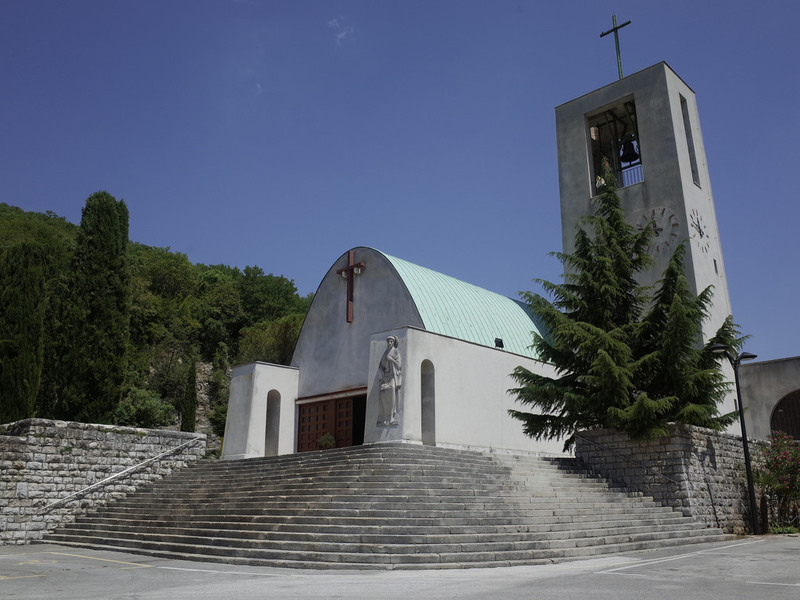 Raša is a curio and a treat for fans of pre-war Italian architecture. Originally a mining community where striking workers protested against their Italian overlords in 1921, Raša was chosen by Mussolini as a model of his urban planning. Il Duce had architect Gustavo Pulitzer-Finali create a functionalist new town of arcades and symbolic buildings. Even the church was fashioned in the shaped of an upturned coal wagon. Today Raša lies almost empty, the mines long closed and Mussolini long gone. You’ll find it four kilometres (2.5 miles) west of Labin on Istria’s east coast. ‘The Golden Cape’ is the best-known all Croatia’s many, many beaches. 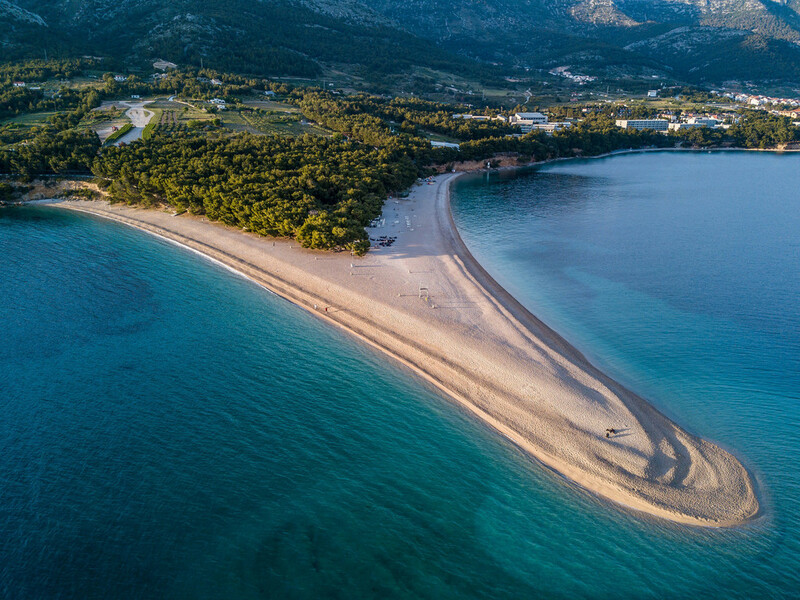 A tourist magnet and natural phenomenon, Zlatni Rat is a triangular-shaped spit of land whose shape changes according to the whims of the tide, sea current and Jugo wind, Croatia’s own Sirocco. Close to the resort town of Bol on Brač, Zlatni Rat attracts flocks of windsurfers, who take to take advantage of the other gentle wind, the westerly Maestral. Though it sounds related to the word ‘crown’, and currencies in Scandinavia, the Croatian kuna is derived from the humble marten, whose pelt was a valuable commodity in medieval times. The noble elite thus called their coins kunas. When Croatia gained its independence in the early 1990s, the dinar was abandoned and the kuna revived. No-one knows exactly how many islands lie off the coast of Croatia. It depends on your definition, the difference between a reef, a rock, an islet and an island often quite arbitrary. At the most recent count, there were 1,185, although the most amazing thing is that of these, only 48 are inhabited. That leaves 1,137 for the wildlife – which is pretty much how Croatia likes it. Very much a man of the Renaissance, Split-born humanist Marko Marulić was the first to define and use the term psychology. Also a revered poet, Marulić wrote both in Latin and Croatian, another first, earning him elevated status in the national canon of literature. His statue stands in his native Split, in Trg Braće Radić in the historic centre. Looking completely unlike the Cyrillic script by the same Byzantine monk, Glagolitic is the oldest known Slavic alphabet, and one used around Croatia hundreds of years after it had died out elsewhere. In fact, it was only the influence of Mussolini’s Italy between the wars, particularly in Istria and Kvarner, that wiped it out completely. Today you can follow the seven kilometres (four miles) long Glagolitic Alley between the hilltop hamlets of Roč and Hum in Istria, lined with signs in the medieval vernacular. 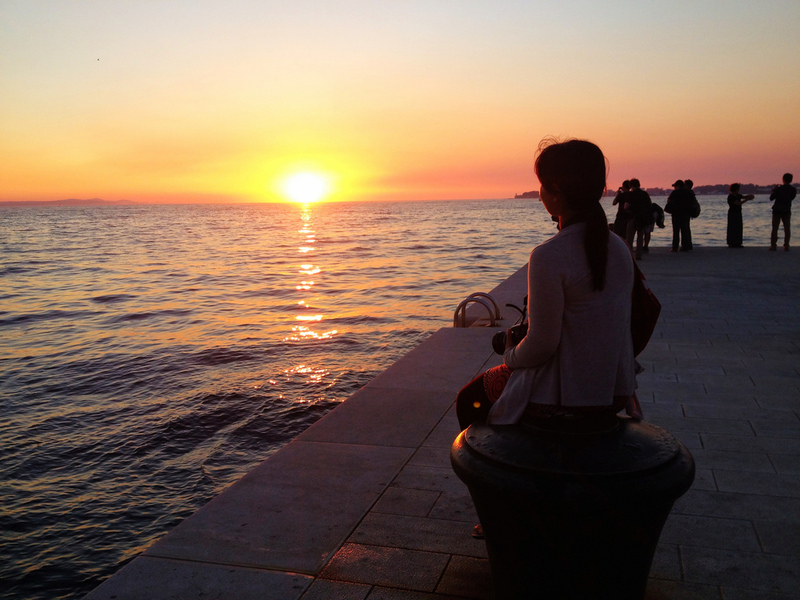 The sunsets seen from Zadar are of such intensity that Oscar-winning actor Cliff Robertson persuaded director Alfred Hitchcock to come and film here. Hitch duly came, for one day in 1964, took some photos, then left. Although his movie never got made, the geographical conditions remain, the landscape so positioned that it causes the sky to bleed reds and oranges as the sun sinks. The prime viewing spots are at the end of the peninsula, near the location of The Garden lounge bar. Note also the commemorative billboards of Hitchcock on obala kralja Petra Krešimira IV. Off the Istrian coast near Pula, Brijuni was the offshore domain of post-war Yugoslav leader Tito. Here he established a safari park with the exotic animals he was gifted by visiting leaders. But other creatures roamed Brijuni long before Tito’s menagerie: dinosaurs. Four sites around the main island of Veliki Brijuni display more than 200 footprints – in fact, those arriving by boat from Fažana will find one near the jetty. 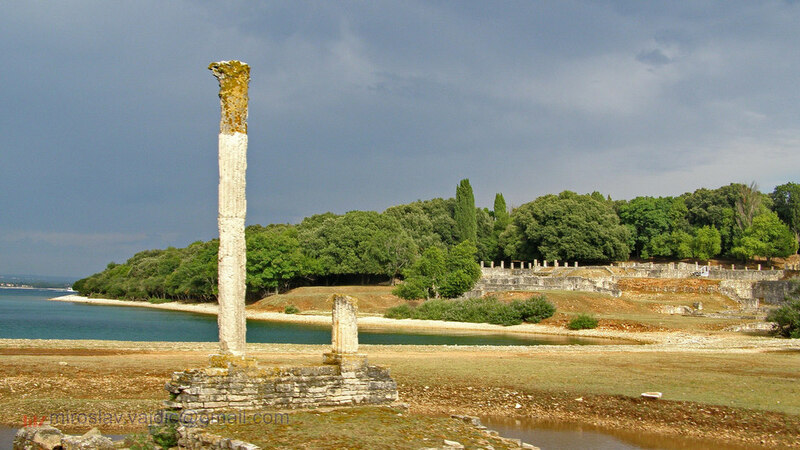 Today Brijuni is a national park, with regular excursions. The long European sojourn of Irish writer James Joyce began in Pula, where he spent the winter of 1904-05 teaching English to naval officers of the Austro-Hungarian Empire. 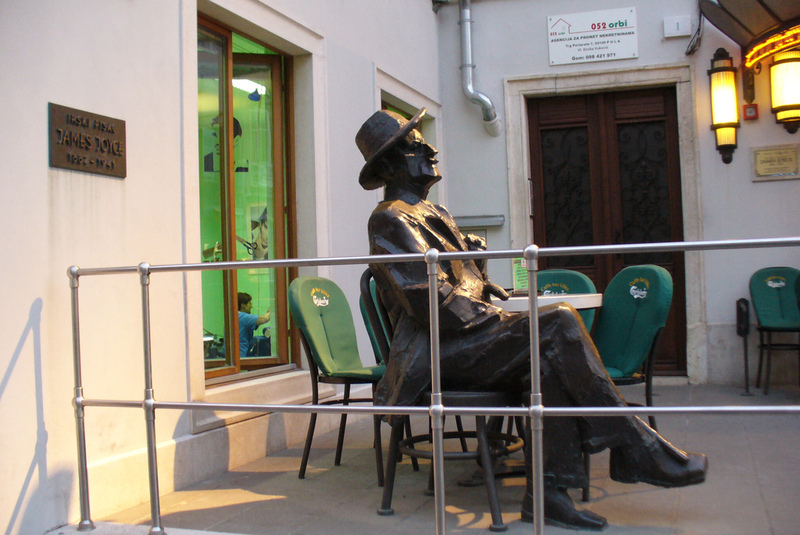 His stay is now marked with a statue outside a café themed in his honour, Uliks (‘Ulysses’). Built in the 1400s by the Republic of Ragusa – today’s Dubrovnik – to protect the precious salt pans within, the Walls of Ston stretch for more than five kilometres (three miles). Half the original 40 towers remain, but much was either knocked down by the Habsburgs or destroyed by the earthquake of 1996. 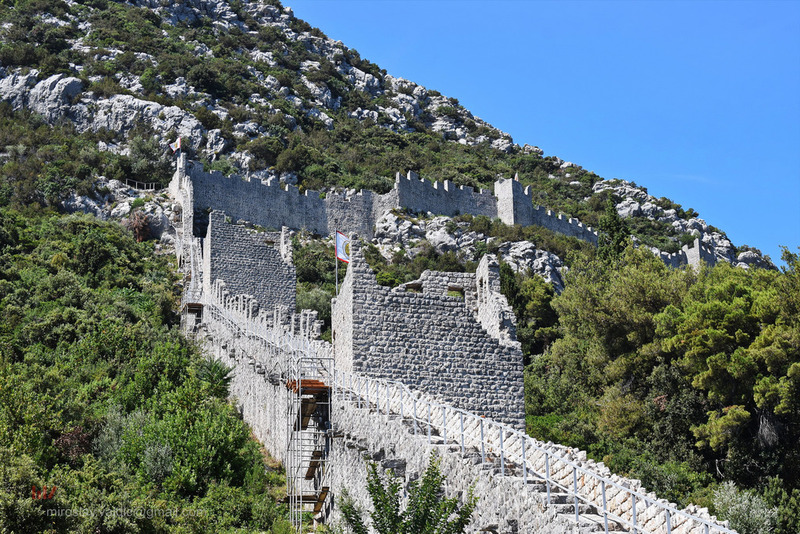 The walls still look an impressive sight, snaking up the hillside overlooking the Pelješac peninsula. 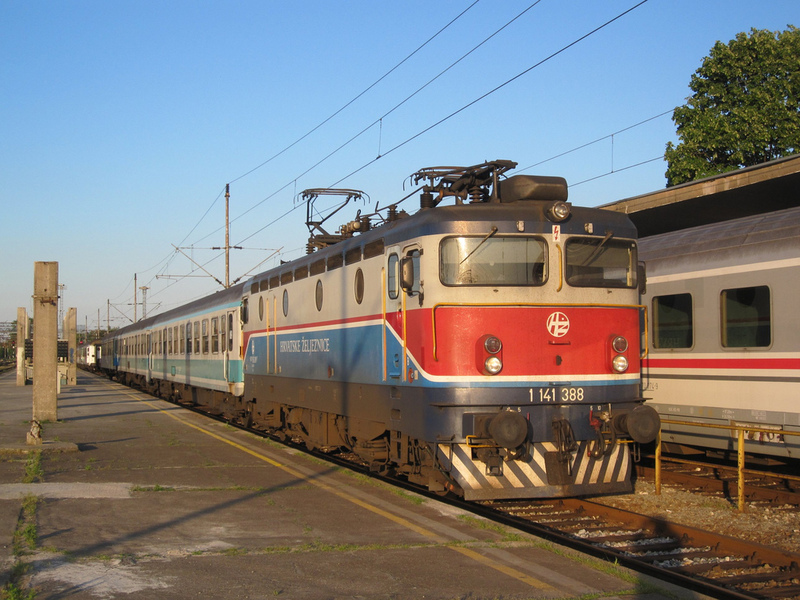 A typical sleepy Slavonian town, Vinkovci is regularly visited by railway enthusiasts. This is not only because it’s the busiest junction outside Zagreb, but because of its literary history. It was here that Agatha Christie sited the killing that took place in her book ‘Murder on the Orient Express’, later made into several film versions. Mentioned by name in the story, Vinkovci is used to visitors strolling around its rail terminus snapping photos, though no attempt has been made to decorate or theme the station building. Perfected by British engineer Robert Whitehead, the torpedo was first created and tested out in Rijeka by Habsburg naval officer Giovanni Luppis. 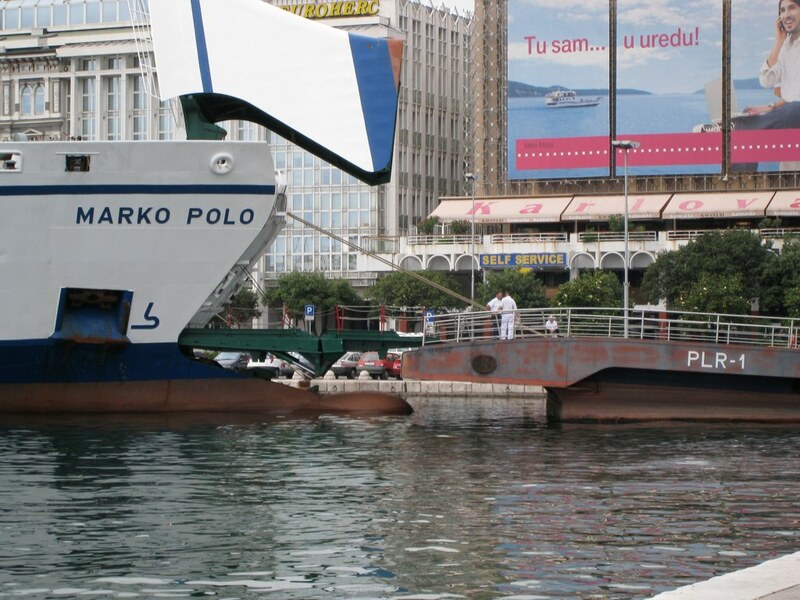 The pair had met at the Croatian port in 1864 and worked on the prototype together. You can still see the dock where this all took place, now rusty and abandoned. Rijeka-born Luppis was later bestowed the title of Baron von Rammer and retired on the profits by Lake Como. Many reach Zadar by plane, others overland by bus. It even has a train station. But the best way to get to the historic centre of the city is by rowboat. Boatmen (barkajoli) ferry passengers between the mainland and the peninsula, a job passed down from father to son, and paid for with a few coins. There’s no timetable – usually a rowboat will be waiting at one end, beside Obala kneza Trpimira, or on the peninsula, near the Garden Lounge. 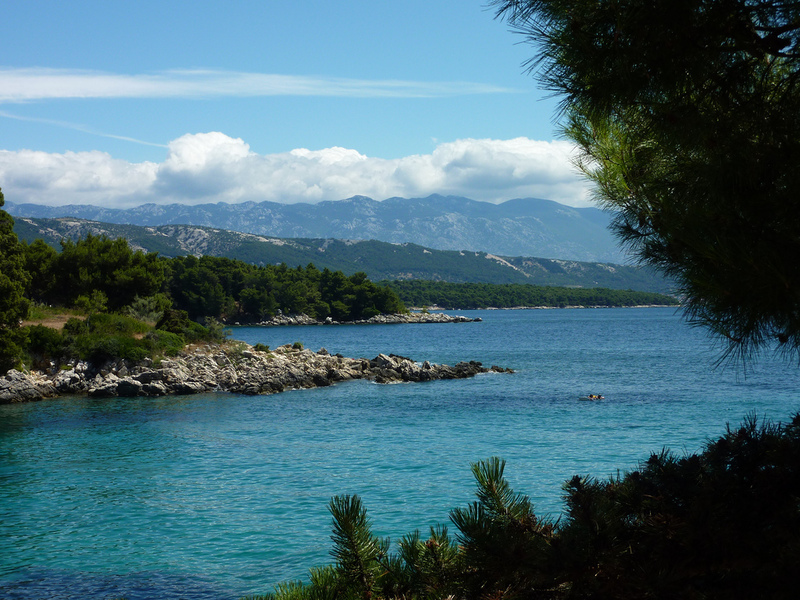 Kandarola, reached by taxi boat from Rab town, has the honour of being Croatia’s most notorious beach. It was here that Wallis Simpson and reigning monarch Edward VIII, at the height of their infamy in the summer of 1936, bared all and swam around the clear waters. The controversial skinny dip kick-started a trend for naturist tourism, not only on Rab but across Croatia. Kandarola remains a nudist getaway, surrounded by a holiday camp. Built in the early fourth century as a fortified retirement home for a Roman emperor, Diocletian’s Palace in Split was done out according to his fancy. As the emperor was a keen collector of Egyptology, he brought with him a number of sphinxes. All taken from the site of the Pharaoh Thutmose III, they date back to 1,500 BC. Of the three that remain, one is mounted on a plinth overlooking the Peristil, central courtyard of the palace complex. 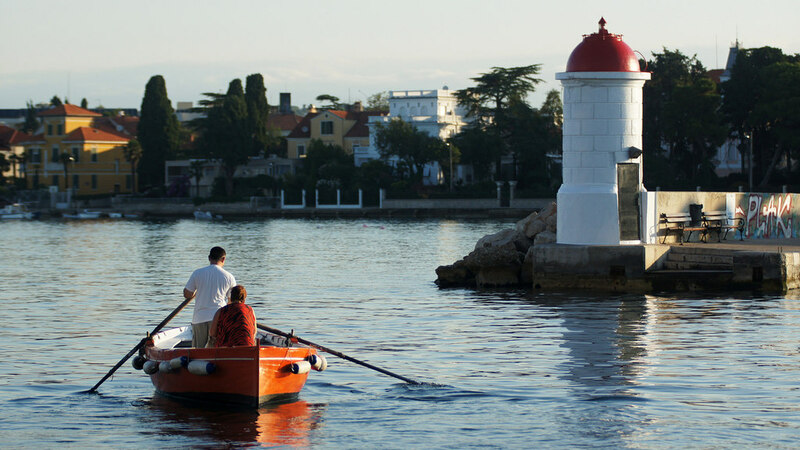 Zadar’s most unusual sight has been gazing over Maestral Bay, close to the Lungo Mare restaurant, for nearly a century. 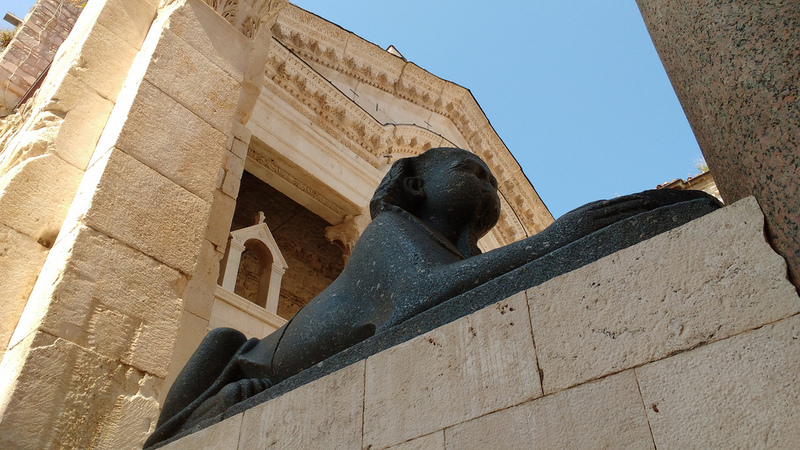 Only recently noticed by travel bloggers, the Zadar Sphinx fronts an elegant villa built by Zadar nobleman Giovanni Smirich. 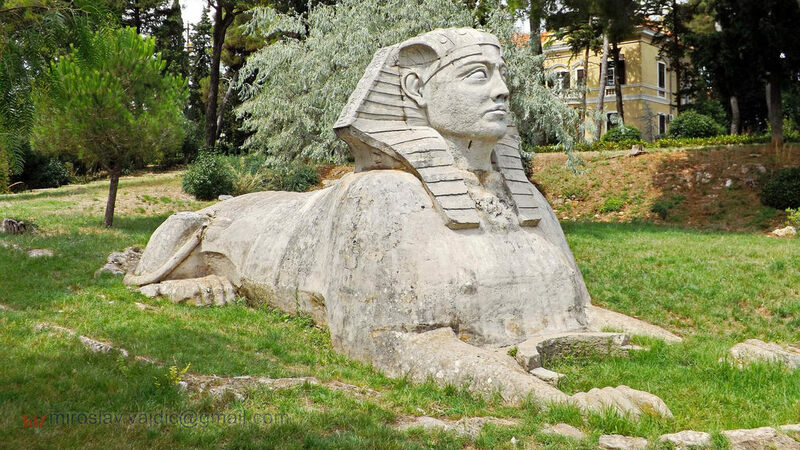 The sphinx came later, created in honour of his recently deceased wife. 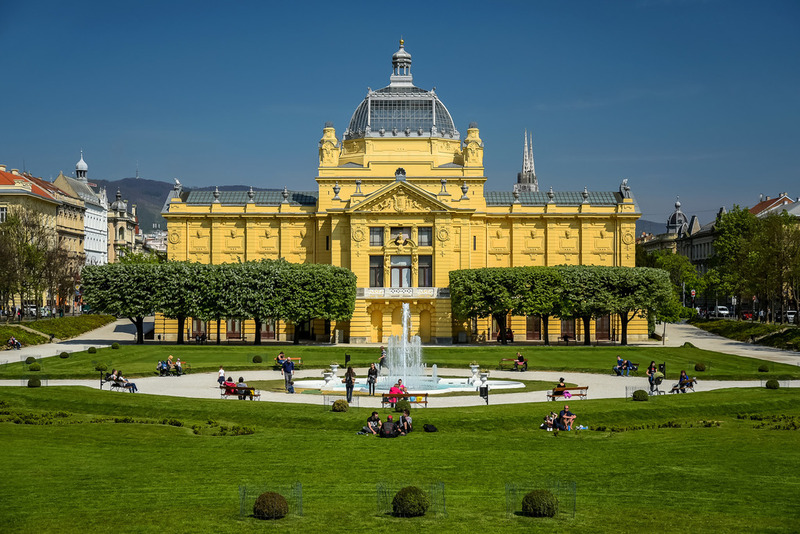 Hard to imagine now, but the stately Art Pavilion that dominates the beautifully landscaped square of Tomislav trg facing Zagreb’s main train station was shipped here from Budapest. Created for Hungary’s Millennial Exhibition of 1896, it was originally an iron structure, taken apart after the event and transported to Zagreb. Here Viennese architects Fellner and Helmer made it a permanent feature and today it’s one of the most prestigious art spaces in the Croatian capital. Historians disagree on the home town of great medieval traveller Marco Polo. We do know that he was born in 1254, somewhere in the Republic of Venice, but his family name is not a common one in Venice itself. 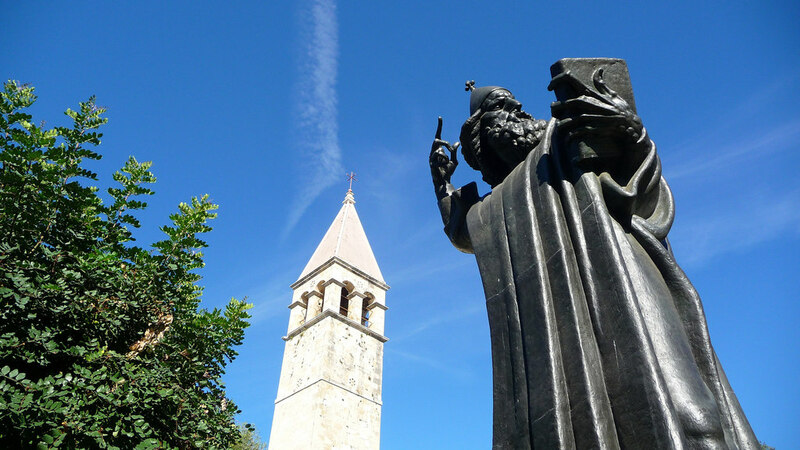 This confusion has allowed Korčula, where De Polo was common, to claim the explorer for its own. To fuel the myth, Polo actually took part in a major sea battle off the Korčula coast in 1298. 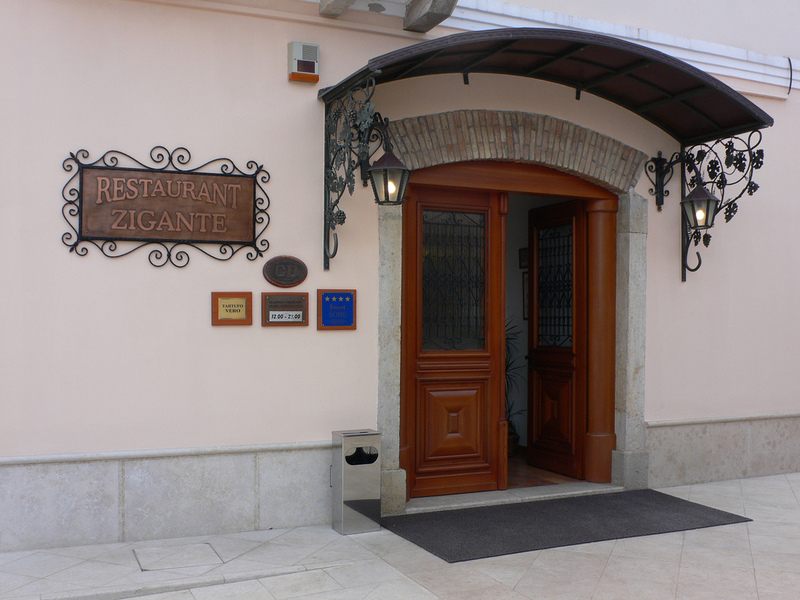 Today you can visit what is claimed to be the adventurer’s house of birth in ulica Depolo. 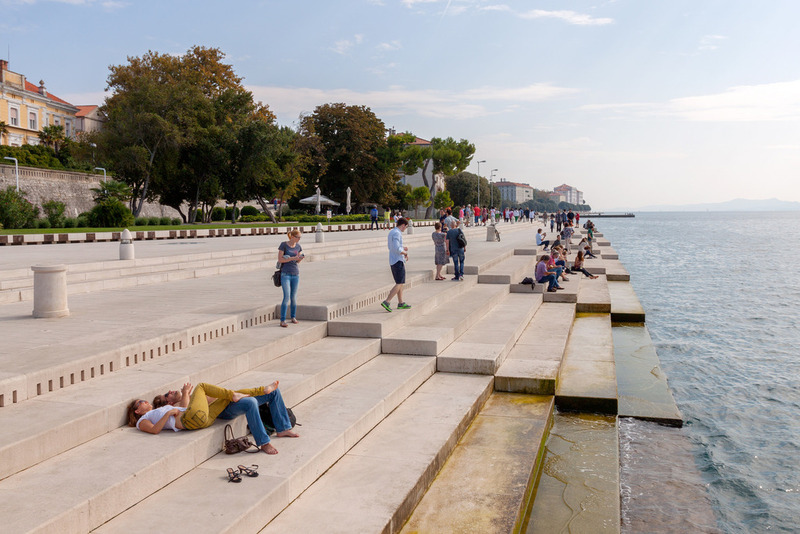 One of the most popular attractions in Zadar, the Sea Organ was created by local installation artist Nikola Bašić. Set on the sunset-facing embankment by the city’s historic centre, it comprises a series of holes in the paving that emit bizarre noises powered by the strength and pattern of the waves. Many are happy to sit on the sea-lapped steps and enjoy the soothing sounds – some even sunbathe alongside them. Whose big toe brings good luck? Grgur Ninski’s, that’s who. 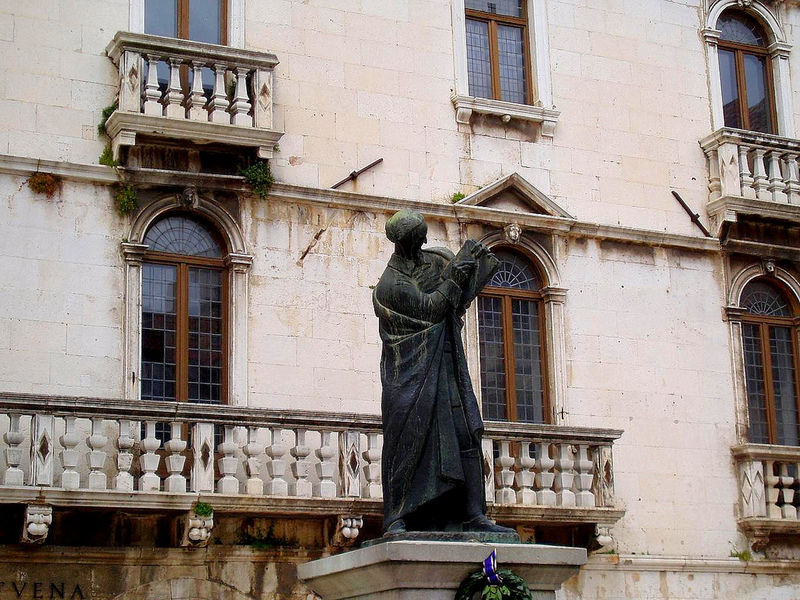 The statue of this early medieval cleric stands outside the Golden Gate of Diocletian’s Palace in Split. With his finger pointing and clasping a book, this dramatic figure is part of the urban fabric. No-one knows why, but touching the big toe of this early medieval cleric is said to bring good luck. An idyllic island in south Dalmatia, Mljet is two-thirds pine forest and one-third National Park. As any excursion there will reveal, Mljet is populated by more mongooses than people, the result of the decision to import them in order to rid the island of snakes. 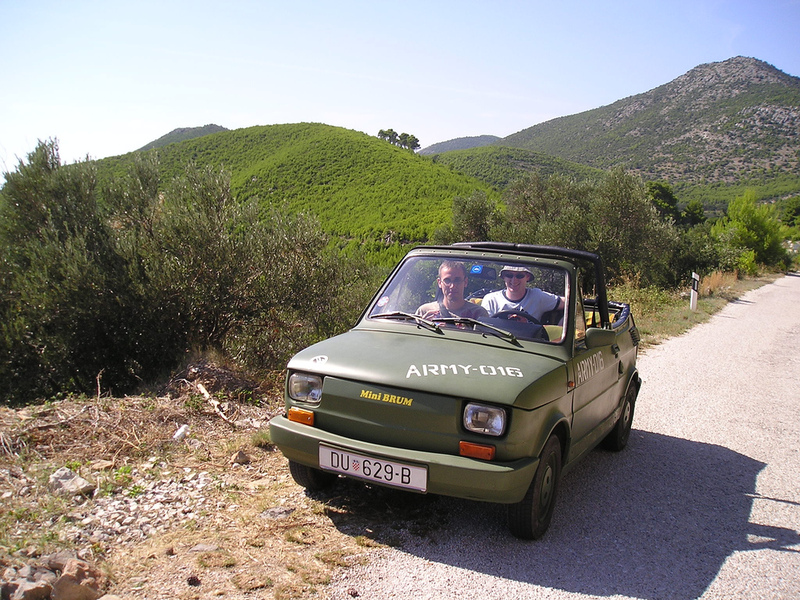 Take a drive down the only road in Mljet and you might see one skitting across the tarmac into the nearby undergrowth.